The Iphone recycling robot helps with scrapping parts from your old Iphones. It harvests the precious metals inside each phone. This product is known as Daisy by the Apple Company itself. It was launched on 22nd April on the celebration of Earth day. It can disassemble a total of 9 Iphone models at a time. It can get through about 200 Iphones per hour. Rest assured your phones will one day”Donate their parts to science”. This new robot is technically a successor to Liam, another recycling robot made by Apple. Liam was revealed in 2016, but now, his old parts are being used by Daisy, which is ironic, since Daisy’s purpose is to recycle old iPhones. The first operational Daisy is located in Austin; a second Daisy will soon be located in the Netherlands. It is capable of disassembling and retrieving an iPhone’s main logic board, speaker, and rear camera, among other components that contain high-quality materials. 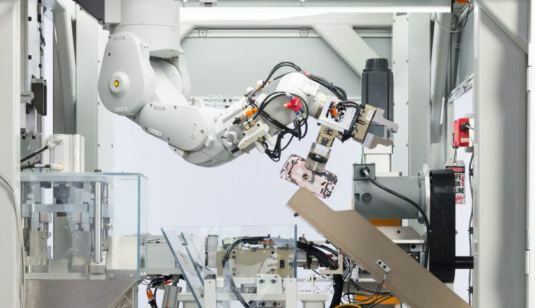 In an effort to extract the most from iPhones which are no longer functioning, and in the name of sustainability, Apple developed a special robot for recycling its phones. This seems a win-win: The Company doesn’t lose money on scrap parts, and environmentalists will no doubt applaud its efforts to actively reuse materials. Hopefully, Apple’s innovative approach will also be adopted by other tech giants.